Aerial Duo Melissa & Amber specialize in sensational fabric and trapeze work. 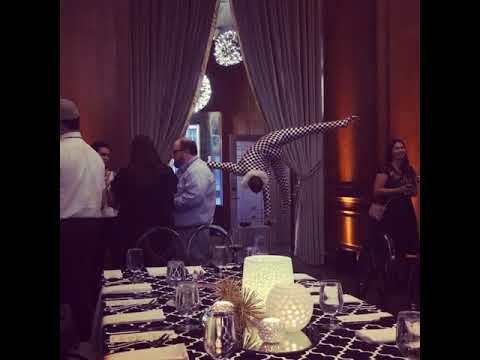 Our awe-inspiring Cane balancing acrobat providing ambient entertainment at 21c Hotels. Our Living Statue will delight your audience! Perfect for Street Festivals or Corporate Events! Our mystical Fortune Teller gives incredible oracle card readings. Fire Swords are guaranteed to warm up the night! Solas Nightclub VIP Party. Glenwood South. Our Make-Up Artists are truly incredible! Aerials, Acrobatics, Fire dance, Stilt-walking, Trapeze, Hoop, Clowning, Bellydance, Magic & more. We offer a highly creative variety of unique and professional entertainment tailored specifically to your needs. Want to bring a spark of excitement and intrigue to your next event? Contact us to create a spectacularly thrilling experience for you and your guests. Numerous options are available for various forms of Cirque style entertainment. Options for a single performer, a troupe, one act or an entire showcase will accommodate your budget and entertainment needs. Our performers are perfect for Birthday Parties, Corporate Events, Festivals, Nightclubs, Concerts, and Children’s Shows. We booked Cirque de Vol Studios for our recent fundraiser, The Muse Masquerade at 21c Hotel in Durham. Their aerialists were a hit with our guests. 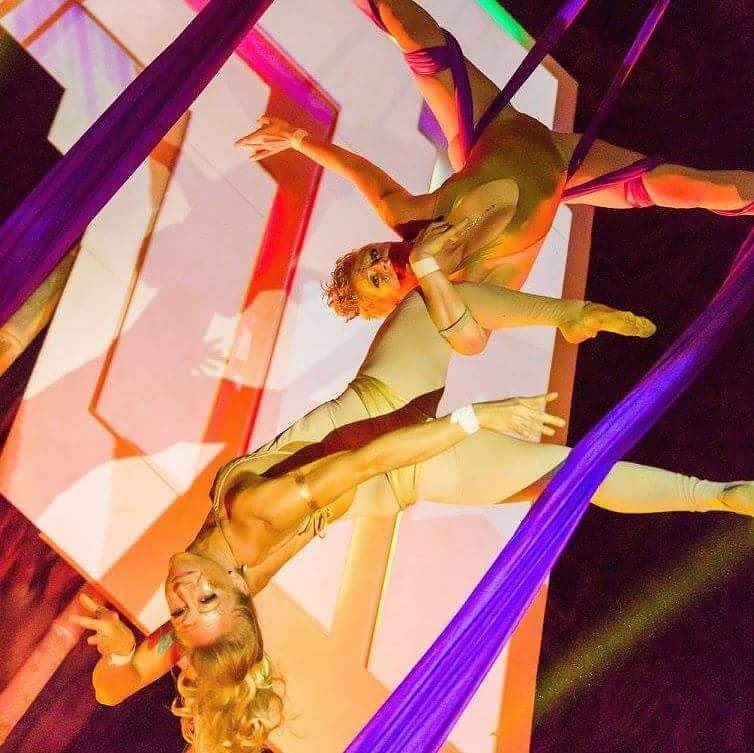 Their high level of professionalism was reflected in the booking and planning process as well as on site at the event, working with their aerialists and the aerial rigger. They put on a stunning performance and we hope to be able to book them again in the future. Cirque de Vol has been at our Youth Arts Festival two times and they have always been extremely professional and entertaining for both children and adults. They are completely dependable and very easy to work with. They have a wide variety of different types of acts and are willing to work with us when we have the festival either inside or outside depending on the weather. We recommend them highly. The girls were very professional and amazing! Their talent and ability to interact with the audience was top notch. I will no doubt be hiring them again in the near future! Cirque de Vol visited our campus, and gave an incredible performance! Our students loved the variety and quality of the acts. The performers were pleasant to work with, and exciting to watch! We are a group of highly trained, professional creatives specializing in bringing the magical and fantastical to life! We offer ambient, crowd-roving and interactive entertainment, as well as staged Cirque variety theatre shows. Each event is designed to cater to your specific vision and needs. Costuming and performance styles are designed to compliment any event. Make an impression that will inspire and awe your guests. You can rest easy knowing Cirque de Vol is planning out the perfect entertainment package for your upcoming event. 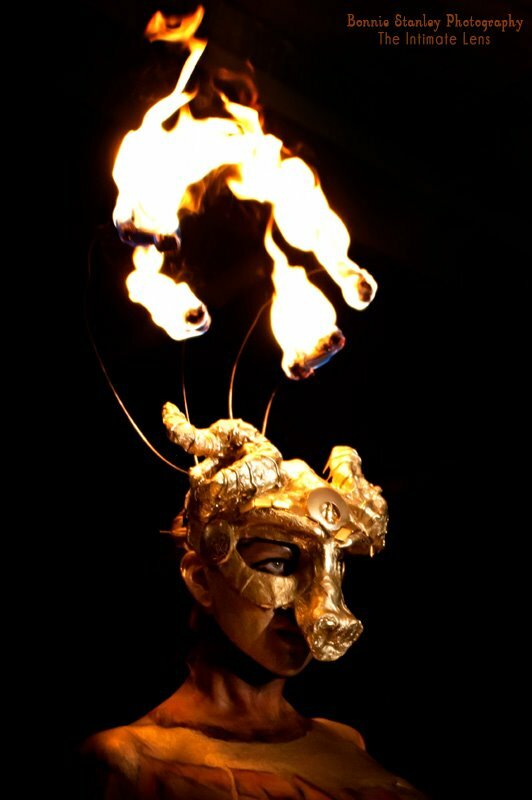 Aerial Acrobats, Fire dance, Trapeze, Stilts, Juggling and more! Professional Performance, Instruction and PLAY! Cirque de Vol participated in the LGBT Center of Raleigh ‘s community event Out!Raleigh and did a wonderful job. They interacted with the kids and adults with hulu hoops and Poi ( I think that’s what it was called) and wowed the audience with their professional performers on the hoops and stilts. Everyone who went by their booth had a great time playing with all the fun activities. We hope they will be a part of our event next year! 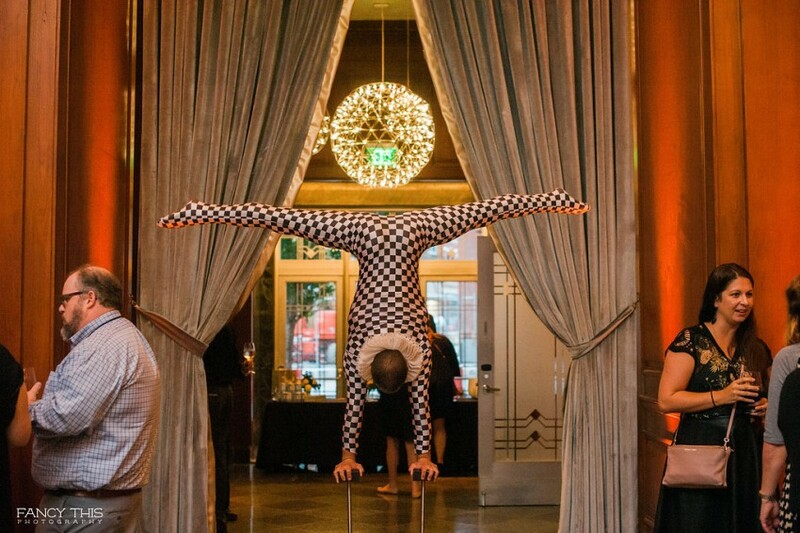 Cirque de Vol added a dynamic and exciting element to our event and got patrons engaged from the moment they walked in! The performers were fantastic and also easy to work with. And Cirque du Vol knows their stuff, they were able to get permits and handle all the logistics without any hitches, including the fire dance, aerial rigging and pyrotechnics. We would love to have them back to our venue soon and often!